The Colchester Food Shelf is committed to protecting your privacy. Below you can read about the information we collect and how we use it. If you have any questions, please contact us at info@colchesterfoodshelf.org. The Colchester Food Shelf uses Google Analytics to help maintain the most useful content for our clients, volunteers, and community members. Information we collect may include the type of device you are using to view the Colchester Food Shelf website, anonymous usage statistics, and “cookies,” which enables the website to remember information if you return to the site, such as if you have already been prompted to subscribe to our mailing list. All activities fall within the Google Analytics Terms of Service. Information about how Google uses data can be found by visiting How Google uses data when you use our partners’ sites or apps. Additional information on Google Analytics can be found by visiting Google’s privacy practices. If you would like to disable Analytics for all sites you are browsing, you can install the Google Analytics Opt-out Browser Add-on. Visitors to the Colchester Food Shelf website have the option to subscribe to our electronic mailing list, powered by MailChimp. 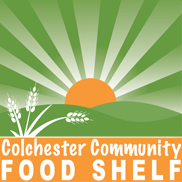 Users must opt-in to receive email notifications from the Colchester Food Shelf using the “Stay Informed” form on the website. As noted on the opt-in form, users that subscribe will receive email updates when new blog posts are added to the website. In order to maintain an accurate mailing list, we collect the user’s first name, last name, and email address. Users have the option to unsubscribe from the email notifications at any time. Users can find links to update their preferences and/or unsubscribe at the bottom of each email.